Will HP's pro machine do the business? The HP ProBook 4515s (£369 inc. VAT) strikes an effective balance between power and mobility and proves a success despite minor flaws. 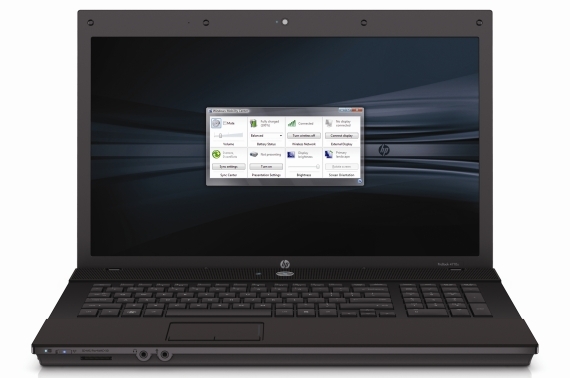 Overall, the ProBook 4515s is a feature-packed and highly usable laptop. Its mixed performance and low-quality build mean that it's not ideal for intensive use, but for an affordable, fully-featured business laptop, it's a great choice. ZM-86: Mixture out of two K8 based cores and K10 uncores (e.g. memory controller). Offers improved power saving functions compared to older Turion CPUs but still not as good and fast as a Core 2 Duo. The ZM-86 is the fastest CPU of the ZM series and a middle class CPU in 2008.» Further information can be found in our Comparison of Mobile Processsors.